*These aren’t all of the books I’ve read recently, but they’re the ones I feel like sharing! The novel follows Carol Kennicott, a newlywed who moves to Gopher Prairie, Minnesota with her husband, a doctor. Having spent years in the growing metropolis of St. Paul, Carol is distressed to find that Gopher Prairie is a “backward” town, and sets off on a quest to reform it into something more progressive. I can’t say I loved this as much as I expected to, though it was an interesting read. It certainly provides a critical look at small-town America, but the constant push-and-pull between Carol and the rest of the town’s citizens never quite resolves itself one way or the other, making it a bit frustrating to read. The “biting humor” that the novel is said to have wasn’t there for me. Carol was also less likable than I expected, and I had trouble relating to her despite the fact that I often favor characters with progressive ideas. I originally read The English Patient with the intention of using it for one of my “book vs. film” posts during adaptation month. Unfortunately, there was apparently a sudden demand for the film at my library and I wasn’t able to get my hands on a copy in time to include it. I’m still very glad I read the book, however, because I enjoyed it immensely. 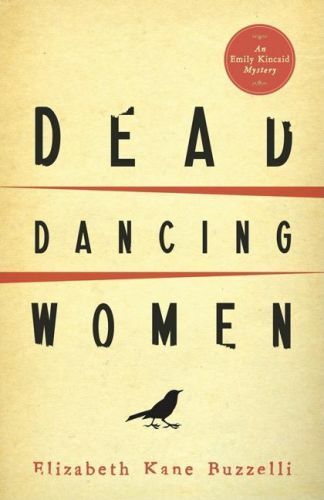 The book follows a few characters: Hana, a nurse in the Canadian Army who lives in an abandoned villa during World War II; “the English patient,” a man burned beyond recognition who Hana cares for; Caravaggio, a friend of Hana’s father who works for Britain’s foreign intelligence service; and Kip, an Indian Sikh serving in the British army. The true identity and life story of “the English patient” is revealed slowly as these characters struggle to survive in the villa, and the reader gets to know the history of each character. It took me a while to really become engrossed in this book, but by the end I was very impressed with it. Most of all, I loved the shifts between the present and the past, as well as the slow reveals of each character’s past and personality. All of the characters are damaged in some way and the novel overall has a very melancholy mood. This definitely isn’t a light read, but I loved it. This is another book that I wasn’t terribly impressed with, especially since I went in with high expectations after reading the first section. This was another “B&N Classics” buy. 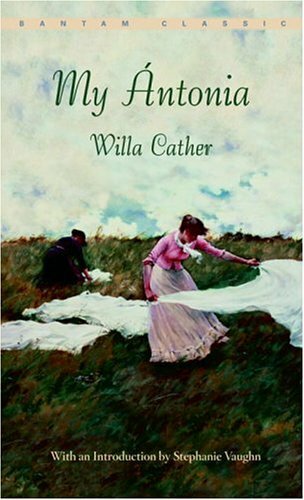 I chose it because I had enjoyed reading a bit of Cather’s work in one of my previous English classes. This is widely regarded as her greatest work, so I expected a lot out of it. The book is told from the perspective of a man who is reminiscing about his childhood and young adulthood in Nebraska’s prairies. The particular focus is his relationship with (and admiration of) Antonia, the daughter of Bohemian immigrants whom the narrator spends much of his childhood with. He tells the story of her arrival in Nebraska, her struggles as a child living in poverty, the scandal she caused in town as a teenager and how both of their lives worked out. I think the biggest problem here was that I didn’t see the appeal of Antonia as a person and couldn’t relate to the narrator’s obvious affection for her. She is certainly a key part of the story, especially since he was so enamored with her, but I had a hard time buying her as this major figure in the lives of everyone on the prairie. 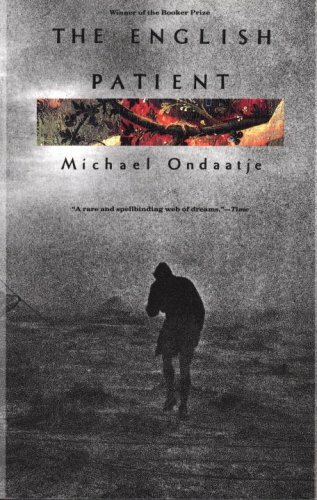 What I did like about this novel was its sense of realism, which comes from the lack of a traditional plot. The story simply follows the course of its characters’ lives rather than focusing on one large, climactic event or telling a more dramatic tale. I picked up these two books (part of a larger series) at the library after being attracted to their cover designs. I then realized that the series is set in upper Michigan – quite possibly my favorite place in the world – and since I can’t resist Michigan stories or a good mystery, I jumped at the chance to read them. The series follows part-time journalist and failed mystery writer Emily Kincaid, who has moved into a cabin in the woods in order to work on what she hopes will be her best-selling, break-out novel. Her days are very uniform and forgettable, until (in the first novel) one day she makes the grisly discovery of a human head in her trash can. With the help of Deputy Dolly, with whom Emily has what can best be described as an uneasy acquaintanceship, our protagonist works to figure out just how that head ended up in her trash can and who killed the victim. The rest of the novels in the series follow Dolly and Emily as they solve new cases. I rated both of these books 3/5, though I liked the first one more. I like the character of Emily and found her quite easy to relate to, since I’m a journalism major with dreams of moving up to the UP after graduation. Take away the severed head and the obnoxious ex-husband, and Emily’s livin’ my dream. The mysteries weren’t quite as engrossing as I hoped they’d be, and not as high on suspense as I expected. I found myself wishing that the conclusion would come soon once I got about three quarters of the way through. That being said, there were a few surprising turns in the stories to keep my interest. This is the best book I’ve read since The Seance (which I raved about last time I posted a Recent Reads), and I’m a bit ashamed that it took me so long to finally check it out. 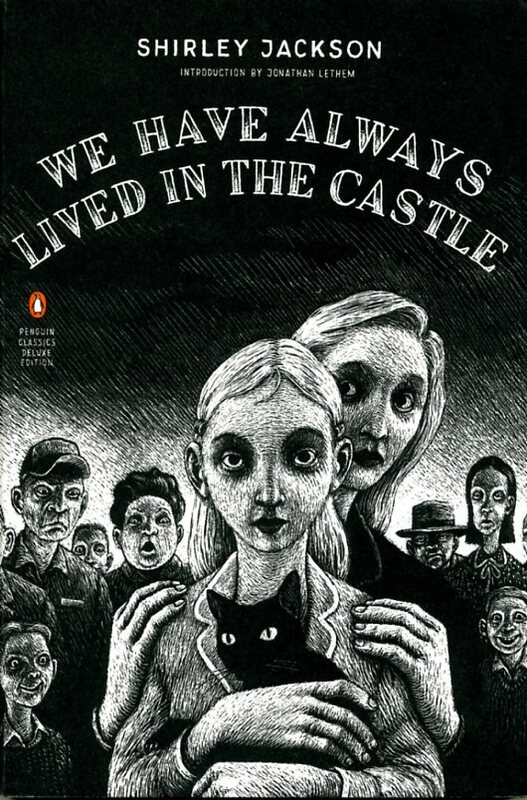 I discovered Shirley Jackson through my very first English class in college, which I took in 2010. We were assigned The Lottery, and I was amazed by it. Just why it took me until 2012 to read more of Jackson’s work, I have no excuse for. We Have Always Lived in the Castle tells the story of the Blackwood family’s surviving members. 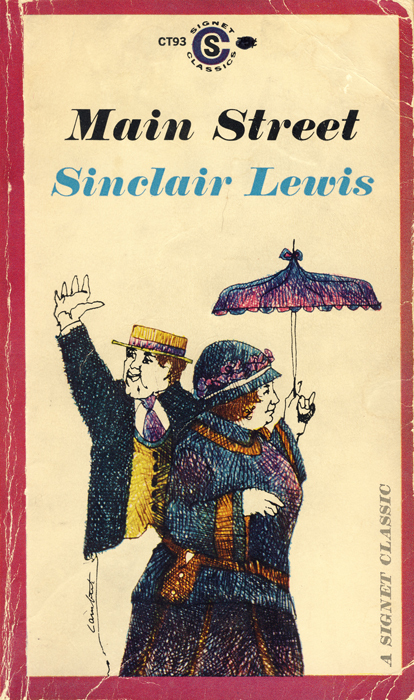 The rest of the family was poisoned at dinner six year prior to the novel’s action. The three remaining Blackwoods: Mary Katherine (or “Merricat”), Constance (who went to trial for the poisonings) and uncle Julian, live in the family’s old house and remain isolated from the rest of the town, aside from Merricat’s weekly ventures into town for food and supplies. Even after six years, scandal still surrounds the family. A whole lot of drama unfolds when a long-lost relative shows up at the door of the Blackwood home. The story is told from Merricat’s point of view, and she’s a phenomenally written character. I loved every minute of this sinister little book, with the quirks of its characters and its few shocking surprises. I’ll avoid discussing it in detail because I don’t want to give anything away for those who haven’t read it, but this is a must-read. Pick it up if you haven’t already read it! I agree with your impression of “Main Street”. I thought I would love the main character but she started to wear on me by the time the book was done. That’s unfortunate about the film of The English Patient! I’m still interested in watching it and I still have the notes I took while reading, so I’ll probably get around to that Book vs. Film post at some point. I wanted to love Main Street… when I read the first few pages in the store I was sure I would! But I just couldn’t stand Carol. Re: English Patient movie… Did you ever see the episode of “Seinfeld” where everyone was going to see The English Patient and Elaine couldn’t stand it? That was me! I haven’t seen it… Seinfeld is one of those shows that everyone loves but I never got into. If I could start it from the beginning I might like it, but I’ve only seen a few random episodes at this point! As for the film, one person who noticed that I was reading the book recommended the film highly and considered it a favorite, but I’ve mostly heard bad things. That kind of makes me dread watching it – and isn’t it fairly long, as well? I don’t want to torture myself if it’s dull and has a running time over two hours, haha. The good thing is, if everyone has dissed the movie you might find it a pleasant surprise. Plus, the clothes are lovely.